Sometimes loosing photos is worth it. 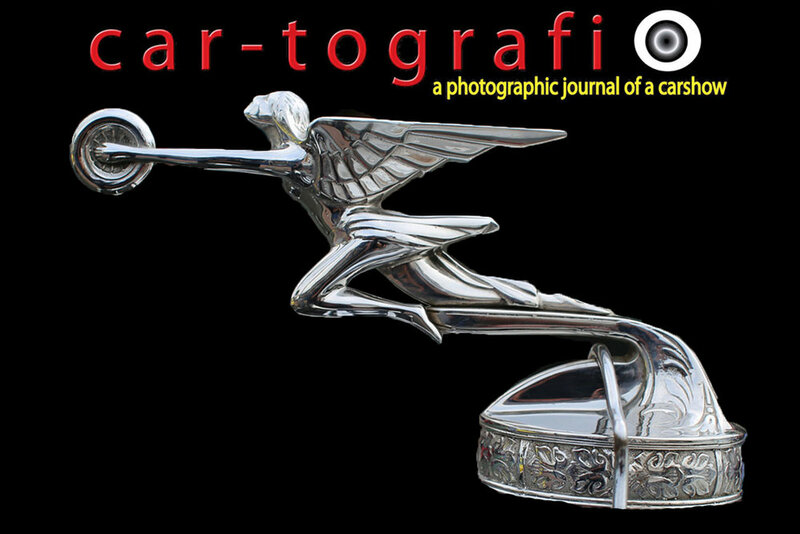 The Hispano Suiza stork was one of the photos lost in the transition to the new format, showcasing it to feature the mascot radiator cap at car-togarfi, where it is all about the parts. The Ranchero & the blue Q is all about the ride where car-tografi is all about the parts taken from car shows where the focus is on the beauty that complements the ride. Check it out. car-tografi is for the car collectors, car aficionados, car lovers. It is for all the vintage rides, trucks, bikes and trailers in all stages of perfection. car-tografi is for the refined classic, perfect paint job, original parts. It is for the pinstripers, hood mascots, artistic displays and the rusty finish. This is the Jordon, Nash, Packard, Chevrolet. It is the Buick, Studebaker, Lincoln and Dodge. The Griffin, Cadillac, Pontiac, Fords that take to the street, line the grassy knolls, driveways and fairgrounds on hot summer afternoons. This is car-tografi a photographic journal of a car show.